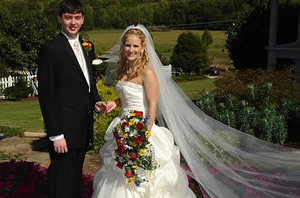 A warm sense of Smoky Mountain tradition and enchantment will delight your senses at Country Jewell. Like a beautiful gem tucked in the quiet earth, Country Jewell's wedding chapel and event barn are both beautiful and charming. Whether you are dreaming of a rustic themed wedding, planning a business retreat, or a family reunion, Country Jewell's scenic landscapes and and vintage facilities will delight your guests. Country Jewell is a true country getaway, featuring the beauty of the Gatlinburg area, without the traffic, noise, and bustle. Private Parties ... and more! Contact us to check availability for your event date and for pricing!